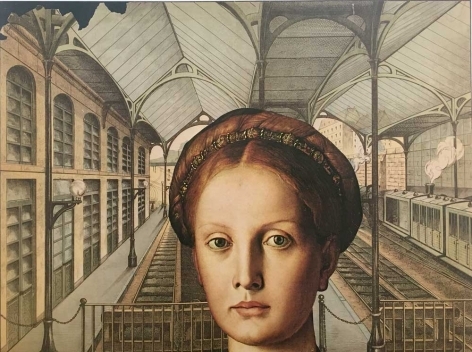 The Tibor de Nagy Gallery is pleased to present an exhibition of new collages by John Ashbery who is considered to be one of the most important contemporary poets. This is Ashbery’s fifth gallery exhibition since his solo debut here in 2008. 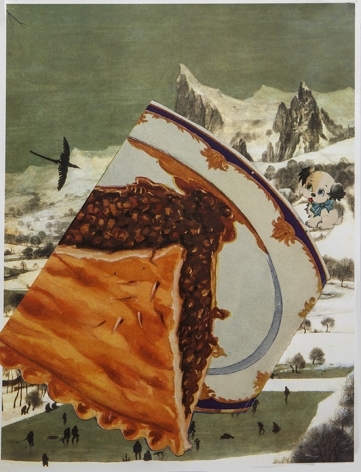 Ashbery started making collages as an undergraduate at Harvard. His approach to poetry and collage is very much the same. In an Ashbery poem, the sentences and phrases accumulate into abstract “collages” that can’t easily be paraphrased or explained. 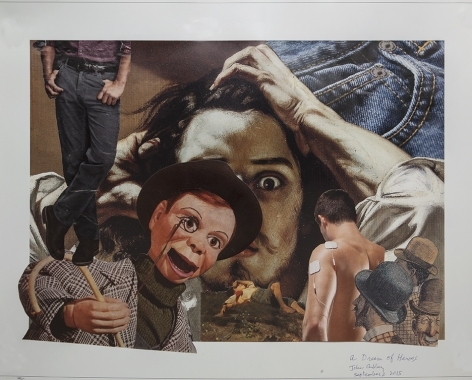 The collages and poems both have surprising, and sometimes humorous juxtapositions and references to popular culture. Ashbery was fascinated in his youth by the collage novels of Max Ernst and the partially collaged Cubist paintings of Picasso and Braque. 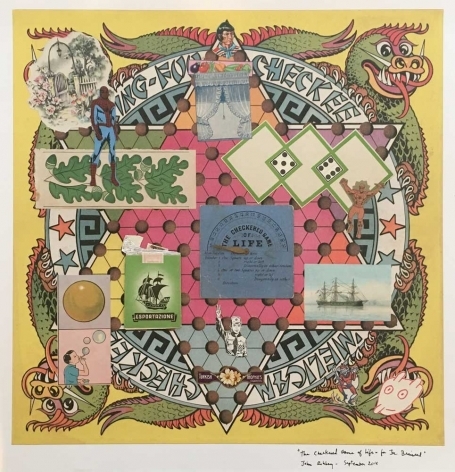 Influenced by such collage giants as Kurt Schwitters, Joseph Cornell, and more directly, Joe Brainard, Ashbery’s work combines equal doses of art historical and contemporary pop culture references. The new collages are more inventive and confidently his own than ever before. At 89, Ashbery continues to explore the collage medium, pushing the imagery into increasingly amorphous shapes with unexpected and often humorous juxtapositions, in much the same way that he has consistently pushed the boundaries of poetry. 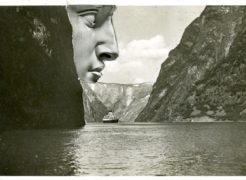 Rizzoli is currently planning a future publication which will be dedicated to Ashbery’s collage work. He places this figure where it will reinforce rather than disrupt the original composition, so that even as he is shading, psychologizing or interpreting the painting he’s chosen, he’s also letting it shine as it is. Much has been made of the notion that Ashbery creates his collages by accretion, as he does with his allusive poems. No doubt. Yet he also works as a curator here, selecting images and staging them to tug the viewer in unexpected ways. All the more unexpected since the artist whose sly boyishness comes through in this new work is almost 90. The journey or the dream, the unavoidable movement from one domain to another, is one of the themes running through a number of the recent collages. In others, which use a game board as the ground upon which Ashbery has affixed various images, a terrain is re-imagined. We seem to encounter the most unlikely and ordinary things, all of which are mysterious portents of what lies ahead. The other thing that struck me about these works is how gay some of them are. For a poet who is notorious for writing opaque poems in which autobiography and transparency are dispensed with, a number of collages celebrate the youthful male body with an innocence that is touching, tender, and, frankly, poignant and sweet.